Carnival is bringing back its “Commitment Series” of travel agent webinars with the latest installment featuring a conversation between Joni Rein, Carnival’s vice president of worldwide sales and Mark Tamis, the line’s senior vice president of guest operations. In the new webinar, which debuts today, Tamis highlights the company’s latest on board innovations, including the many features that are being added as a result of the $500 million Fun Ship 2.0 product enhancement program. In the webinar, Tamis details the new Carnival LIVE concert series, the Seuss at Sea youth program developed in partnership with Dr. Seuss Enterprises, and the American TABLE and American FEAST dining initiative. He also shares personal insight into a charity he founded with his daughter called Dads for Giving. Hosted on the line’s travel agent Internet portal, GoCCL.com, the “Commitment Series” was introduced last year. Each webinar features an interview with Rein and a member of the line’s senior management team. Previous webinars highlighted the line’s marketing and advertising campaigns, as well as the new Carnival Service Values hospitality training initiative. Beginning with the Tamis webinar, Rein will interview a Carnival executive each month. 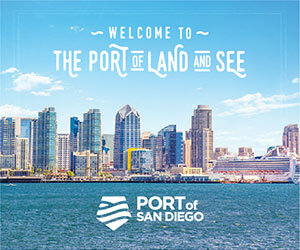 New editions featuring topics including itinerary planning and development with Vice President of Deployment and Port Operations Terry Thornton and upcoming sales initiatives with Senior Managing Director of U.S. Trade Sales Mike Julius are planned for May and June.